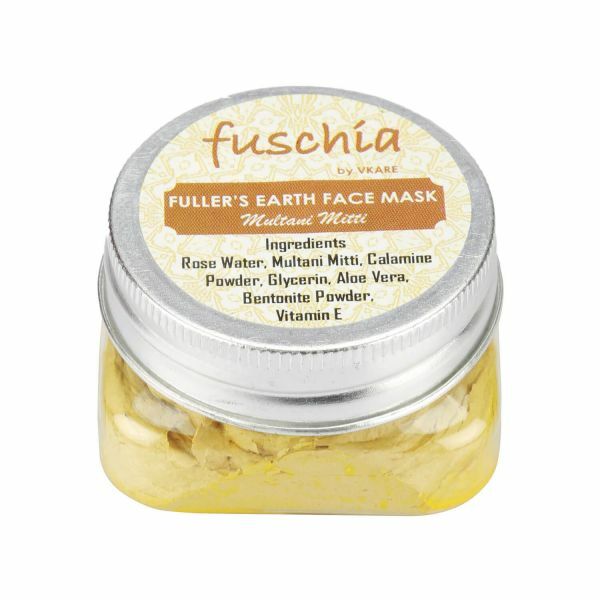 Multani Mitti, also known as fullers' earth, is a mineral-rich clay that is used in common beauty treatments. In Indian families, the clay's healing powers are well-known and have been passed down from generation to generation. It's probably been your grandmother's favourite home remedy for any skin ailment, and can easily be considered an Indian beauty staple. You might be surprised to find out that its place of origin is Pakistan! Multani Mitti has absorbent properties and is a source of minerals like magnesium, silica, quartz, calcium, iron, calcite, and dolomite. It also has active ingredients that absorb oil, dirt, sweat and any other impurities trapped in your skin. Need we say more to convince you that it's GOT to be part of your beauty regime? Okay, let's begin! It's a mixture of aluminium, magnesium and silicate clay. When mixed with water, it forms a thick paste and can be used on your skin and hair. 1. Removes excess sebum and oil trapped in your pores. 2. Deeply cleanses your skin: it removes dirt, sweat and impurities. 3. Helps fight acne, blemishes and pimples. 4. Brightens your complexion and evens out your skin tone. 5. It is an effective cooling agent that helps in treating sunburns, skin rashes and infections. 6. It has antiseptic properties that help fight acne, skin infections and other irritants. 7. Helps fade tanning and pigmentation. 8. Can be used to treat skin inflammation and insect bites. 9. Gives your skin a healthy radiant glow. 10. Effectively treats blackheads and whiteheads, freckles and acne. 11. Helps deal with an oily scalp when applied directly. 12. It helps facilitate blood circulation and makes skin glow naturally. 13. Multani mitti helps get rid of dark circles as well. All you have to do is mix a spoon of Multani mitti with potato pulp and lemon juice. Apply the paste on your face and wash it after 20 minutes. If you haven't already given this baby a shot, you should go out and buy a box of this magical healing clay right away and make it an active part of your beauty regime! In other news, multani mitti is also a great agent to exfoliate and brighten your skin. It is an extremely versatile ingredient in homemade DIY face packs. It is a commonly believed myth that multani mitti is only beneficial for people with acne-prone skin. The truth is, you can use this with a host of other ingredients to suit your specific skin type. While there are numerous clay masks available in the market, multani mitti is one of the cheapest home remedies out there. 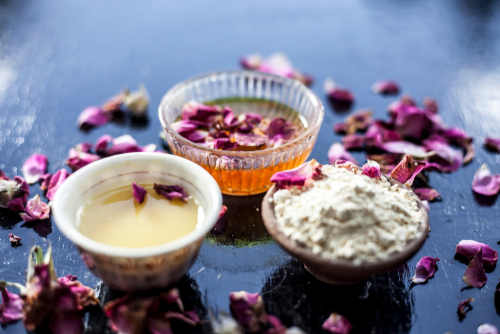 The easiest way to use multani mitti is to mix it with rose water and apply it as a face mask. However, there are many ways you can use this magical ingredient in your beauty routine to help combat various skin issues. 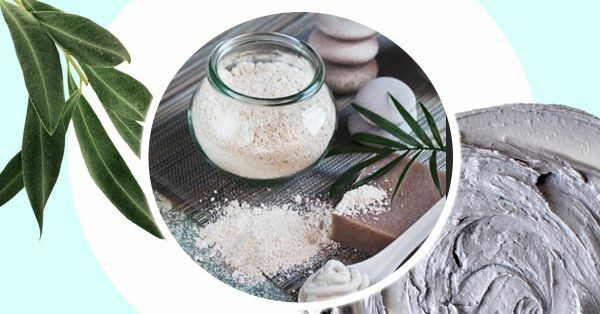 Check out some of the uses of multani mitti, in face packs and find one that works best for your skin concerns. The Vitamin C in lemon brightens the skin and helps fade blemishes, while honey acts as a humectant—protecting, hydrating and plumping the skin. Mix the two with some rose water and multani mitti for a natural, bleaching effect. Turmeric is nature's skin saver. It brightens, lightens and gives your skin a healthy glow. It is anti-inflammatory and helps heal acne and any active skin infections. It works wonders on blemishes and removing tan, as it has a component called curcumin which inhibits excessive secretion of melanin in the skin. A mixture of multani mitti with turmeric, curd/milk/honey and rose water works wonders on tanned skin and pigmentation! This delicious vegetable is great for reducing pigmentation and spots from the skin. Grate some potato, squeeze out the juice and combine it with multani mitti for bright, glowing, tan-free skin. Yoghurt contains lactic acid that helps gently exfoliate and give your skin a healthy glow, remove dark circles, get rid of acne and wrinkles, and soften your skin. Cucumber cools the skin and helps reduce the puffiness around your eyes. It is full of water and is therefore super hydrating. Throw some in a blender and strain the juice and use it on your face or combine it with some multani mitti for a cooling, hydrating face pack! Cleopatra's secret to her smooth, flawless and radiant complexion was milk. Milk is great for improving the complexion. Raw milk is an excellent daily cleanser. All you need to do is dip a cotton ball in raw milk and wipe your face with it. Sour milk can help shrink pores! Milk helps lighten blemishes, reduce allergic reactions and heal wounds. Milk soothes sunburn and sun damage too. So add some milk to your multani mitti and get the best of both ingredients! Aloe vera is nature's best-kept secret! The gel from the aloe leaf has anti-inflammatory, skin regeneration and healing properties. Just cut a leaf, squeeze out some gel and use it in your face masks. You can use the gel to hydrate your skin and hair. Even when used as is, multani mitti is extremely beneficial for your skin. Combine it with tomato juice, sandalwood powder and a pinch of turmeric. Apply it on your face twice a week and see blemishes, pigmentation, and dark circles fade. Combine all the ingredients together and apply it to your face for 15 minutes. Rinse off with warm water and pat your face dry. Apply some aloe vera gel or a lightweight moisturiser after. A mixture of multani mitti and curd will moisturise and cleanse your skin. Curd has lactic acid which helps in moisturising and exfoliating your skin. Combine all the ingredients together and apply them to your face for 15 minutes. Rinse off with warm water and pat your face dry. 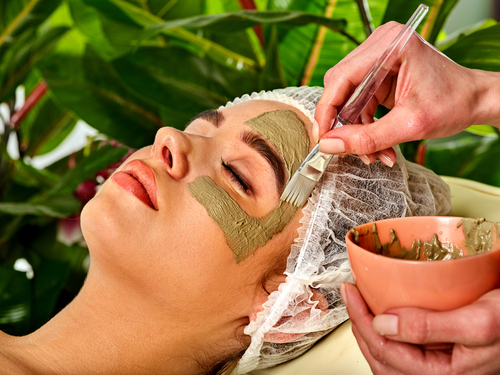 Multani mitti is known for its oil-absorbing properties, this is why it is effective in fighting acne. It draws out the oil and impurities from under your skin. The minerals in multani mitti nourish your skin and help prevent further breakouts. Add some lime juice or a few drops of tea tree oil to the multani mitti to give it further acne busting boost. Mix all the ingredients together and apply it on your face for 15 minutes, wash off with warm water and moisturise. You can use this face pack twice a week for acne-free skin! Benefits Of Multani Mitti For Your Hair! Now that you know the benefits of multani mitti for your skin, wait till you find out what it does for your hair! Women who have an oily scalp should wash their hair using Multani mitti. It does not strip hair from its natural oils and is safer to use as compared to commercial shampoos. Did you know that you can use multani mitti as a hair conditioner too? Well, you totally can! It repairs damaged hair and makes hair smooth and silky. 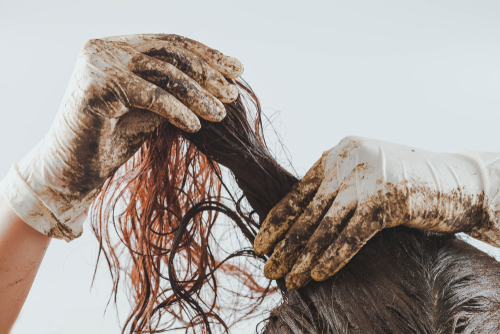 Hair product residue, dust, dirt and sweat - multani mitti helps get rid of all of them! If you have smelly locks, multani mitti takes care of that as well. Those ladies who have dandruff issues and an infected scalp should use multani mitti to soothe and treat an aggravated scalp. You should give it a shot! Each time you wash your scalp and hair with it, it improves the scalp's blood circulation. The moment that happens, expect your hair follicles to receive nourishment. This eventually leads to hair growth. If you add black pepper to your multani hair pack, it exfoliates your scalp and encourages hair growth. You can include yoghurt too as it helps to condition and nourish hair. A teaspoon of aloe gel can be added to control oil production in the scalp. In a bowl that contains 3 tablespoons of yoghurt, add half a cup of black pepper. Add 3 large tablespoons of aloe gel and multani mitti. 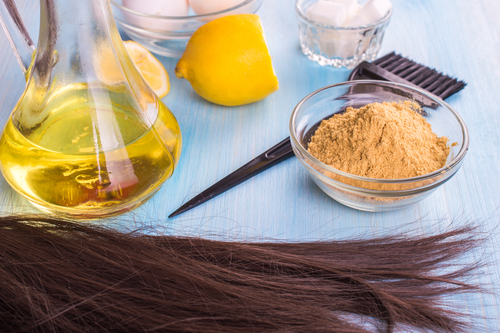 Mix all the ingredients well and apply the paste on your hair. Leave the hair pack to dry and wash it off after 25 minutes. Multani mitti mixed with honey and yoghurt is bound to get you dreamy locks. As you know, yoghurt and honey help moisturise and soften rough hair. Try this pack twice a week for a month to get positive results. In a bowl, add a cup of yoghurt. Add 3 tablespoons of multani mitti and drizzle honey over it. Mix all the ingredients well and add a dash of lemon juice after. Apply the thick paste to your hair and don't wash your hair till 20 minutes are up. Soap nuts act as a natural detergent when it comes to cleansing scalp from dirt and grease. 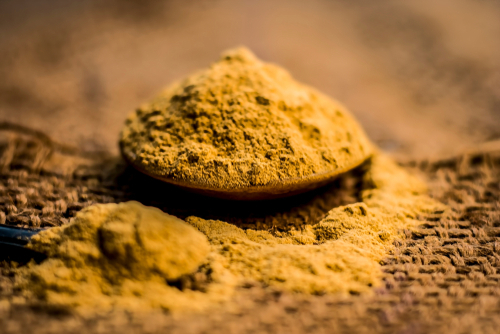 This ingredient mixed with multani mitti is perfect for treating oily hair. Pour half a cup of multani mitti in a bowl. Leave it to stay that way for 3 hours. Add soap nut powder to the water. 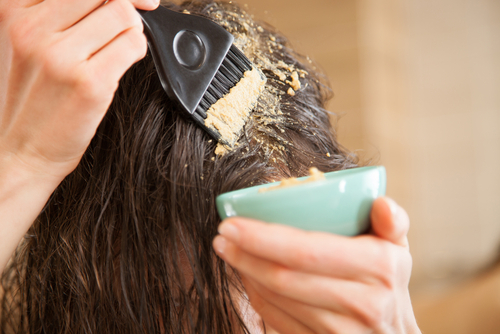 Apply the hair mask to your hair and massage your scalp in a circular motion. Wash your hair with lukewarm water after an hour. 1) Since multani mitti has high absorbing powers, it's not the ideal ingredient for dry and sensitive skin. It can burn your skin and cause rashes and breakouts. Before you apply the clay mask on your face, start by applying it on just one region. If you experience a burning sensation or if you notice a pimple that's starting to pop, wash that area off immediately! No matter how amazing multani mitti is, the fact is that it does not agree with all skin types. If you're still adamant on using it, then a month before using the mask, you must moisturise your skin and drink lots of water every day. That way, it'll prepare your skin before the mask gets applied. 2) Those exposed to raw multani mitti can fall victim to respiratory diseases. If you're finding it difficult to breathe when you're around this brownish-yellow colour, you must stop using it at all costs. 3) Multani mitti is not meant to be eaten because your body isn't equipped to digest this substance. It can cause kidney stones and cause a ruckus in your intestinal tract. Another important point to note, pregnant women tend to get a craving to eat brick, chalk, ice, hair, paper and multani mitti. It is also a common symptom of a psychological disorder known as pica. The only way to use multani mitti is by making a clay mask out of it. Don't add it food, because, at the end of the day, it's dirt. 4) There are people today who are still under the notion that multani mitti is the solution to all health problems. That's far from the truth. Apart from your skin and hair, it has nothing to do with curing problems from within the body. Respiratory issues, stomach pain and digestive problems, consuming multani mitti will not help. 5) Raw multani mitti may not have a definite expiry date, but it does need to be stored in a clean, dry place. However, the ones that come in commercial packs, need to be checked from time to time. Since they're mixed with water and other chemicals, it is important to check the expiry date before applying multani mitti to your face and hair. In case you need help picking a multani mitti pack, we're here to help. 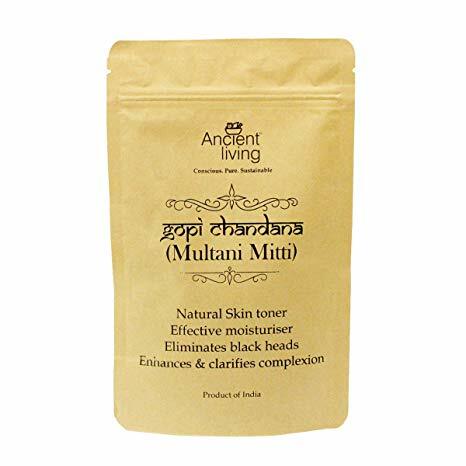 Here's a list of 7 multani mitti products you need to get your hands on. Happy shopping! 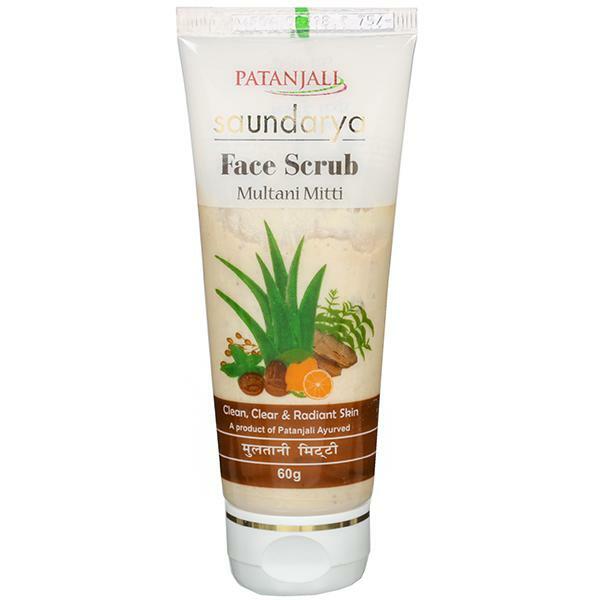 Packed with herbal extracts, natural scrubbing beads and vitamins, this multani mitti pack makes exfoliation an easy process. It removes dead skin cells like a pro and keeps the pimples at bay. After washing your face with the scrub, your skin will instantly start to glow and look clearer. Price: Rs 75. Buy it here. 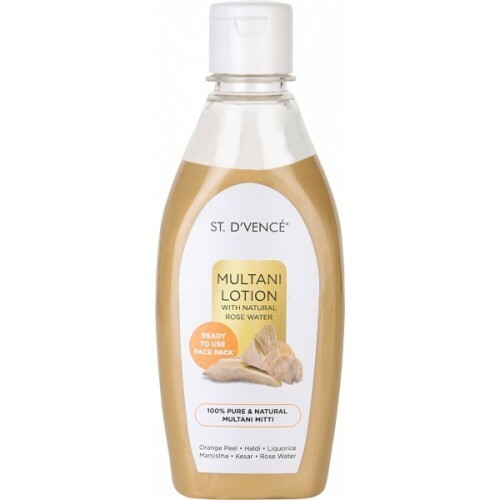 Those living with acne-prone skin and pimples should consider bringing home this multani mitti lotion. Apart from multani mitti, this lotion also contains ingredients like kesar, haldi, orange peel and rose water. It works well if you have a tan and pimples. You must try it believe it. Price: Rs 499. Buy it here. 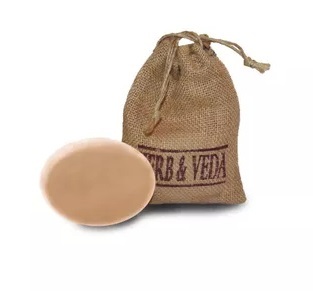 The best part of using this soap is that it does not contain any preservatives, chemicals and animal products. It's made from essential oils and natural ingredients. It's also loaded with vitamin E and is meant to suit every skin type. Scrub your body using this soap and you'll be amazed with the results. Price: Rs 180. Buy it here. This pack contains multani mitti and sandalwood powder. The combination helps clear your skin, making it appear brighter. All you've got to do is mix multani mitti water and apply the paste to your face using your bare fingers. Massage in circular motions and leave the clay on for 15-20 minutes to harden. Once it does, begin peeling the product off and later use a facewash to remove all the residue. Don't forget to pat your skin dry using a towel. Price: Rs 175. Buy it here. If you're dealing with a tan you got from a holiday, now is the time to befriend the facial ubtan pack. This pack is interestingly made by hand and without the use of any machines. Sundried flowers, dried leaves, barks, roots and herbs, all crushed together and added to the multani mitti ubtan pack. You know what's even better? 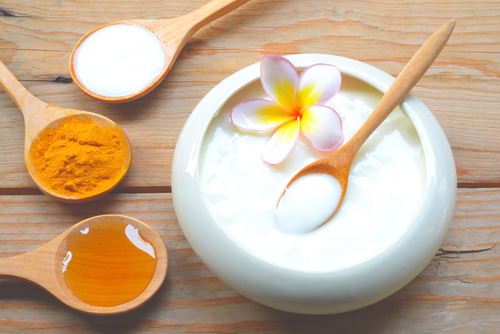 You can make your own mask at home by mixing this one with a natural ingredients such as honey, milk and yoghurt. Pretty amazing, right? This product is pretty expensive as compared to others, but it's worth every penny. 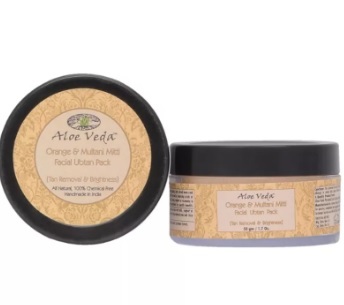 Along with multani mitti, it has herbal extracts from neem, fenugreek and turmeric. While it makes skin glow, it also an excellent job at tightening skin pores and removing a tan. Once a day, mix this paste with aloe gel and apply it to your face. After 20 minutes, wash it off and you'll instantly notice positive results. Price: Rs 925. Buy it here. Doesn't this multani mitti tube have the prettiest packaging? It sure does if you ask us! It's affordable and is designed to cleanse, hydrate and purify skin. 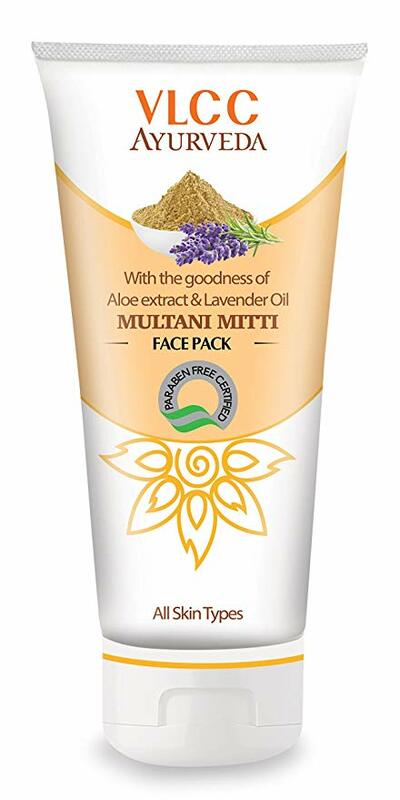 It locks moisture and does not dry your skin out as compared to other facial packs. Plus, if you have a cut or a scar on your body, this face pack helps to heal that area. When applying this mask, make sure that you avoid applying it to your eyes and neck. You see, those areas are super sensitive and you could hurt yourself if you aren't careful. Price: Rs 84. Buy it here. This face mask is perfect for women who have wrinkles and marks on their face. It helps with skin brightening and is made from only natural ingredients. Twice a week, it's important to apply the mask as it takes care of skin pigmentation and acne. Price: Rs 405. Buy it here. 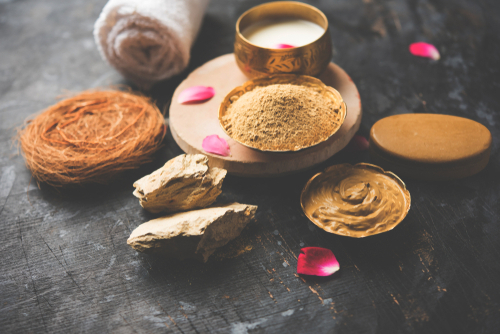 If you're still not sure whether you should try multani mitti or not, here are some of the most popular questions women have about this magical clay. Does Multani Mitti Remove Oil From Hair? Yes, it does. It strips away excess oil and cleanses your scalp and strands to perfection. Make a paste using multani mitti and water and apply to your scalp. Leave the hair mask on for 10-15 minutes and wash your hair with mild shampoo. Can You Use It Every Day? Yes, you can. However, you have to be careful. If you have terribly dry skin, use milk instead of water to make the paste. Ideally, if you have dry skin, you should do this once a week. If you have a combination skin type, twice a week should be good enough. For super oily skin, you should aim for three times a week. What Is a Quick Home Remedy For Removing Tan Using Multani Mitti? In a bowl, add 1 tablespoon of multani mitti. Then, pour some tomato pulp over the mitti and add a pinch of sandalwood powder. Apply the mix to your face and do not touch your skin for 25-30 minutes. Wash it off with lukewarm water and you'll notice, your tan has disappeared! 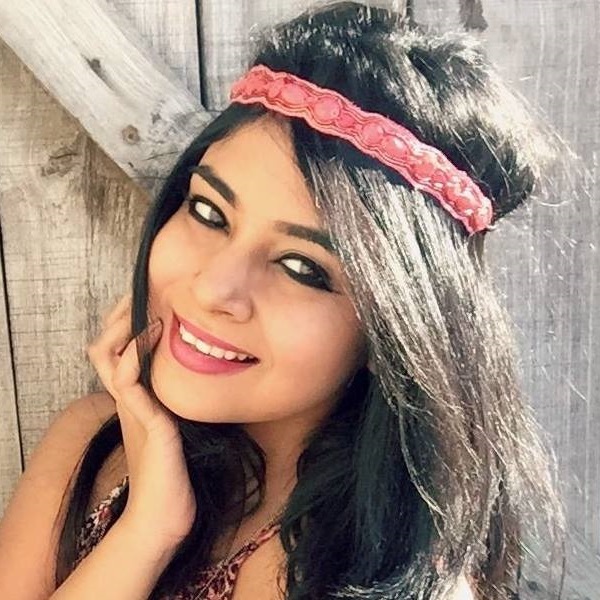 How Long Can I Keep Multani Mitti On My Face? Twenty minutes is the minimum. However, you can extend it to 10 more minutes if you have time to spare and you aren't running late. 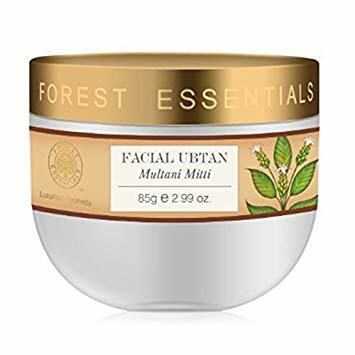 Does Multani Mitti Treat Open Pores? To an extent, yes. It helps tighten pores and keeping skin firm. Can Multani Mitti Be Eaten? No, it should not be eaten. Multani mitti should be only used for your hair and skin. You should avoid consuming it by all means. You see, if it gets into your system, it could cause kidney stones, stomach pain and block your intestinal tract. Is It Safe To Use On Your Hair? Yes, it is! If you need to take a break from using commercial shampoo. This baby makes for a fabulous natural alternative. It's mild on the scalp and cleanses it from all the oil, dirt and dust. After washing your hair with multani mitti, make sure that you use a great conditioner as well. Once that keeps your locks soft, glossy and smooth. Can Multani Mitti Be Used On The Beard? If your boyfriend has a messy beard and you want to tame it, use multani mitti. Mix the clay with olive oil, a teaspoon of milk and ask him to apply it all over the beard. It works like a charm! This Diwali, surprise your friends and family with the *sweetest* gifts! Check out POPxo Shop's new Diwali range of scented candles, flavoured dry fruits and roasted makhanas. Use coupon code POPXOFIRST to get 25% off. Online shopping for women never looked better! This story was updated in January 2019.